The following was written in 1939/1940 by Holland, Michigan’s Ray Nies. I have a lot more to say about Nies, but I will save that til later. The text below demonstrates Nies’ skill as a writer. 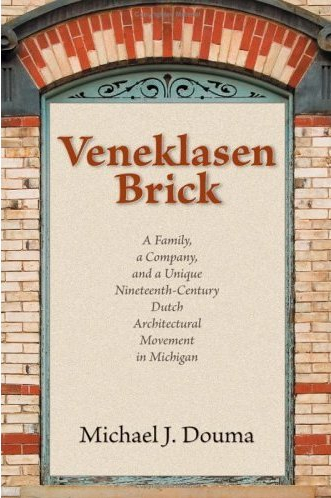 In fact, if the Dutch of West Michigan ever had a Mark Twain, Nies was it. Although Nies was never published, his writings must rank up there with Peter DeVries, and Frederick Manfred, definitely somewhere above Arnold Mulder, as one of the best examples of Dutch American writing. With no further ado, present Ray Nies and Piet Ver Liere (Peter van Liere). The old Dutch colony of the Hudson River valley had it’s Rip Van Winkle, who, they say, slept for twenty years, but our Dutch colony had its Piet Ver Liere, who did not fall into a twenty years’ sleep, but who was drunk for sixty years or more – over three times the length of Rip’s sleep. Did I say drunk? Well, never really drunk, – that is completely dead drunk, but never completely, absolutely sober either, somehow miraculously maintaining through all those years a most exact and delicate balance or equilibrium between those two conditions. How he was able to accomplish such a difficult feat is impossible for me to explain for certain, although I have a theory which will be offered later. Piet Ver Lier was the veterinarian or “horse doctor” of De Kolonie during his long life. He was a small, shriveled, querulous, spry, old man when I first knew him, always dressed like a scarecrow in the same old clothes, and always driving the same faithful, ungroomed, old horse and rickety buggy, and usually in the merriest of humors. For some unknown reason, as the many years followed, he never appeared a bit older than at first. Old Piet had no formal education that I know of, but he knew much about the ailments of animals, and what to do for them. “Warbles” or “pip” were nothing for him. Even when a cow got to the extremity of “losing its cud,” old Piet Ver Lier had an infallible, sure, secret cure for it. I do not know the scientific name for this mysterious affliction, or how serious it can be. Cattle owners no doubt know all about it, or should know something about it, if any of their cattle have ever had it. I understand that fortunately the trouble is of very rare occurrence, -yes, very rare indeed, and so, luckily most cattle manage to get through life without having had it. I hope that cattle owners know what I am talking about if any such ever read this. Anyhow, it was said all through the colony that old Piet possessed a cure for “a cow that had lost its cud.” His secret, by the way, whatever it was, went to Piet’s grave with him. Piet obtained his knowledge of treating animals from experience, and from his fathers, who before him, for generations had pursued the same calling in the old country. Because of his large, practical knowledge, and on account too of charging so very little for his services, which charge often was only a drink of liquor or “slokje” in the vernacular, he was kept fairly busy. He had a great appetite for “brandy wine” (brandy), and usually was in De Stad every day when it happened that he had no call for professional services, going to his favorite tavern where his could quench his thirst, and there meet, and gossip with some of his “boeren” or farmer cronies. Then, late in the afternoon, summer and winter, his thin, old form could be seen slowly driving his old, black horse, Franc, down the main street on his way home, followed often by a crowd of children. He might seem to be somewhat intoxicated, but who could be sure of it; he would turn his face to one side of the street and then the other, looking for people on the sidewalk, and as soon as he saw anyone, or if the walks were crowded with shoppers, so much the better – it mattered not if he had seen them before, rich or poor, high or low – he would shout to them at the top his querulous, old voice, which was shrill and penetrating, but not very loud, through he did his best, and he could be heard at some distance over the street noises, “Hello! Hello! Hello! Tis en kat in Amerika” to the wonderment of strangers. These words he cried over and over as he drove along the mile or more through the little Dutch city. Town people were used to him and his queer ways, and paid him little or no attention, but some of the upper-crusters would raise their eyebrows, and shake their heads in disapproval as he passed along, but his ways became so firmly established through the years that old Piet was never expected to do or be any different. I must have seen him go down the main street almost every day for thirty years or more with his “Hello! Hello! Tis en kat en Amerika,” and I do not ever remember ever seeing him when I could swear he was “sober”; neither could one say that he was drunk, and yet he is said to have lived to well over ninety years, maintaining successfully for most of those many years that most amazing, neutral condition or balance, or equilibrium, almost exactly between those two extremes. It was wonderful. At the time when my knowledge of Piet began in the last decade of last century, the 19th, it was quite the fashion for professional men, doctors, lawyers and ministers to wear high, or “plug” hats, and the rest of their wearing apparel was in accord, all quite genteel and formal, and in the latest style. Oftentimes, the greater the quack, the finer his habiliments, but not so with Piet. His appearance was anything but stylish, with a large, black, misshapen hat on his head, a black, baggy, worn suit on his thin body, at least two sizes too large, and of course never cleaned or pressed, that is, never since it left the maker. Over this suit was usually worn the same old, black, rubber raincoat in all seasons, rain or shine, summer or winter. How many years this apparel lasted him without having to be replaced with new, is not known, but it is known that he never seemed to wear anything new, or different in fashion, and if he ever did get anything new, it would seem that its very newness would have attracted attention, but nothing like this was ever noticed, and appropriately the equipage that carried Piet around, the old horse, the dilapidated harness and buggy were all in closer harmony, a match to each other, and to old Piet himself in looks. The territory that Piet covered in his professional work ranged from Harlem on one side to as far as Noordeloos on the other, and on occasions he would even go as far as Hardewyk, Zutphen, or Borculo, covering pretty nearly the entire original Dutch Kolonie. He did not often go over the border to where the English speaking folk, of “Yankees,” as the Hollanders called them, lived, as he spoke or understood very little English, staying pretty well inside the limits of the Kolonie. The old man usually came to De Stad in the morning, and his first stopping place would be at the old pioneer drug store. There he would tie up his horse, reach under the buggy seat, and remove the little, ancient, brown jug, his constant traveling companion, and carry it into the store, and deposit it on the counter, saying slowly and quietly, as if to himself, “Hello! Hello! Tis en kat, Tis en kat in Amerika,” then without words as to the price of what he wanted, or what brand it would be, in fact with no other words at all except those words before mentioned, Tis en kat, etc., etc., the clerk would carry the jug to the back room, fill it with what Piet wanted and reappear with it a few minutes later, setting it upon the counter. Whereupon Piet would pay him the understood, long established, standard price, which Piet knew without asking as well as he knew anything in this somewhat not understandable world. Piet knew what the clerk wanted, and the clerk well knew what Piet wanted. 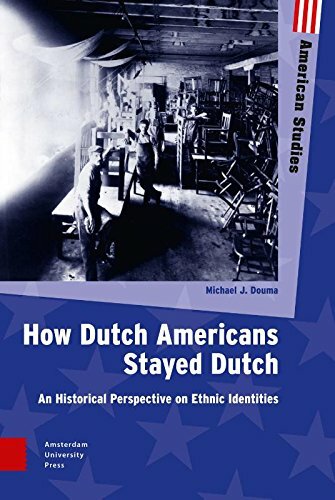 Just what Piet was so dissatisfied with in America is not known; certainly it could not have been the lack or drink, and certainly the colonists were better off in general in this country than in the old country, and they all knew it. It is quite likely that Piet used the expression mostly in an ironical or joking way, but when it came from his lips it seemed as if he meant every word of it, so seriously and earnestly were the words spoken. This little, old, brown jug under the buggy seat contained old Piet’s precious “reserve” or standby supply of tipple, only to be touched or gotten into in case he failed to get enough free drinks from his farmer friends in the two or three public houses around the town at which he would stop while there, or if the farmers he would call on during the day had nothing for him to drink. Then, and then only, would he fall back on his reserve supply under the buggy seat. Although he shrewdly managed to get some free drinks every day, or nearly so, without having to have recourse to the jug, nevertheless, every few days the jug would be empty, and would be brought to town for refilling. Piet’s way of living brought him many adventures, but none of them resulted very seriously, and he kept up those ways to the end, and furnished talk and fun for the whole colony. When he was somewhere around eighty he was driving home after an afternoon in the taverns, shouting, as was his ancient custom, “Hello! Hello!” to everybody all along the street as he passed, which was almost all the English he knew, following this up with the Dutch words “Tis en Kat en Amerika,” before mentioned, repeating them over and over, the more vociferously if he passed a crowd on the sidewalk as he drove along. It was in the winter time, but the day had been warm and thawing, and there were puddles in the road, when, nearly home, which was two or three miles from town, some way or other, perhaps on account of the unevenness of the road, or of his many drinks, Piet fell out of his buggy into one of those shallow puddles, and lay there too much stunned, or too “bezoopen” for once to get up. It got dark, turned piercing cold, and started to freeze and to snow hard. The old horse, Franc, went on home alone all right, and Piet’s son, Andreas, noticed it standing in the yard after a time, and took care of it, but seeing nothing of his old father, got a lantern and started down the road to look for him. After a long search he was found, almost covered up by the drifting snow, just a bit of his old coat in sight, lying in the frozen puddle. There Piet lay like a dead man. His clothes were frozen solidly into the ice. Andreas tried to raise him up but could not get him loose, and hurried away for help. He quickly got neighbors with axes, and they chopped Piet out of the ice, apparently frozen to death, so much so that for once he could not even say one single “Hello!” He was carried home for dead, but for all his many years he was tough, and being as full of alcohol as are today’s automobile radiators in January in Michigan, perhaps he had subconsciously grasped the idea of alcohol for “antifreeze” long before it was though of, and so got over his terrible experience with no harm at all, with the exception of his fingers, which the intense cold had contracted and bent into curved-like claws, and which, to the end of his days remained curved. He could never afterwards hold his fingers out straight, but this proved to be no great calamity or handicap after all, as the permanent curve given his fingers by the frostbite, was the curve that just naturally, precisely, exactly and perfectly fitted the glass out of which he drank his kind of liquor. Piet could now pick up a glass, or even a bottle and handle it, and hold it much better after his fingers had been frozen and bent, than he ever could before, which was a help to him, and of course his thumbs were as good as ever for hooking into a jug handle. He went in but again did not soon come out, so after another anxious while, young Bram went in, unable to stand longer the waiting and uncertainty, again to see what he could do about it. There stood old Piet quarreling with the publican. Piet had gone in and ordered one of his favorite drinks, and when it was served and paid for, he made the awful discovery that he was short of money, and that he had only just enough to pay for that one drink, and he realized then too, that that one drink was not going to be enough. He was going to feel pretty dry without another, but how to get it? He glanced around the place, and saw none there from whom he could expect the offer of a drink. His old crony, “Our Willem” was there, but he knew better than to expect anything free him, and so Piet was at a loss for the moment as to how he was going to get that second drink; but only for a moment, for he was highly inventive in ways of getting needed drinks when he found himself lacking money. As he stood at the bar with his untasted, paid-for drink in front of him, an idea came to him whereby he could not only get that second, needed drink for himself without money, but perhaps the drinks “set up” for the whole crowd as well. He would try it and see. He then put the glass up to his lips and drank, being very careful to leave a tiny bit in the bottom. Then, setting the near empty glass on the bar, he turned his back to it, and began to talk to his old friend Willem about, perhaps, a balky horse, or some other thing, all the time keeping a sharp watch out of the corner of his eye on the tavern keeper behind the bar. Pretty soon, mine host, who was called Dikke Jan (literally “thick John”), which name described that functionary very well, as his name was Jan and he was extraordinarily thick and fat, thinking Piet was through with his drink washed up his glass, and put it away. Piet had been waiting for just this moment. Breaking off abruptly his conversation with his friend Willem, and turning around to the bar, he began searching on it for the glass that he had so lately drunk out of. They argued back and forth, Dikke Jan, although he knew by experience of Piet’s many sharp methods, steadily getting the worst of it, being no match for Piet in this verbal dual. He did not want to give in, for if he gave old Piet his demanded drink he was afraid the drinks for the crowd would be also on the house, and he was right about that. Piet was not going to give in because he badly wanted more liquor. His pride was up, and he really began to believe that he had not half finished his drink – he was by now quite sure of it – and that his fat host and either poured the rest back into the bottle, or had drunk it himself. They battle raged, and it was just at this time that young Bram came in, looking anxiously for Piet. Seeing the desperate look on the boy’s face, Dikke Jan guessed that Piet was wanted very badly, and getting weary of the struggle anyway, his big, fat person being unable to contend any longer with this small and agile-witted old Piet in this kind of a fight, gave up, and with the best grace he could muster, gave Piet the drink that he had claimed so vociferously, and set up the drinks for the crowd as well. “Klaas, have you any brandy wine?” said Piet. Klaas produced the juge, and Piet took a good drink, and then more drinks until he had got himself precisely in the condition of inebriety desired for his purpose. Now, it is a strange thing that some people can handle bees at any time with no fear at all of getting stun. Other people have the mysterious faculty of going right up to any vicious, strange, threatening do, and the dog will turn away meekly when they get up close and move off. I don’t pretend to be able to explain these thing, but Piet’s method with the mean horse seemed to work right, because when he thought he got himself at exactly the proper stage of inebriation, he went into the stable of that vicious horse, and poked and pushed him hard here and there, ministered to him, and the ugly animal, whose owner was so afraid to go near him, was perfectly quiet and gentle with old Piet, and soon recovered of his sickness. Young Bram, knowing so well the mean nature of the horse could never figure out why the horse did not kill old Piet. He though perhaps it was the smell of the liquor. Who does know why? Many boeren thought that although Piet drank rather much, yet he was pretty good at doctoring their stock, and often, when at their farms treating the stock he would dose their ailing vrouws or children at the same time, and all for the same price, namely to wit “but a slokje” if they had it, or a cup of coffee, or even go so far as to charge a cash fee of twenty-five cents if he happened to be in need of money. Now, the fat tavern keeper, Dikke Jan, who had been victimized by Piet so many times, at last determined to get even with him in a way that Piet would remember. He tried hard to think of some effective way to do it. Time went on, but nothing occurred to him until one day his tavern received a new brand of whiskey, which had large, fancier labels pasted on the head of the kegs than had any former kegs. This new, big lable had a certain legend printed on it in large letters (required by a new law) and in strong, blazing colors. The fancy, new label attracted Dikke Jan’s attention, and as he stood studying it and admiring it, an idea came into his head as to how at last he could square accounts with Piet. He got some warm water and removed the label from the head of the keg of the whisky, being careful not to injure or tear it. This took some time, but at last the job was finished to his satisfaction. Then he put the label away in a safe place. After a day or two Piet came in for his usual visit, wearing the old, black, rubber raincoat he usually wore. This day, Piet, to his great surprise and gratification found his glass ready set out for him at a table, and quickly refilled by the host, and no pay asked, and with his favorite “Three Star Hennessy,” even with the little sugar to take the poison out, as well. The strong colors of the label taken off the whisky keg made a brave showing against the black background of the coat. This job done, he gave Piet no more free drinks, but sent him out into the cold world, unknown to himself a marked man. Of course Dikke Jan well knew that Piet’s favorite drink was brandy, but he never refused whiskey, and so the whiskey label would serve very nicely, as the general public would not likely know what liquor Piet drank. Friend after friend saw Piet weaving along the street and told him how he was marked, and explained to Piet what it said and what it meant, and offered to help him remove it, but this Piet staunchly and vehemently refused, and only said “No,” it was a good label for him to wear. It pretty well told the truth about him, but not quite. It should better have read “brandy wine,” but whiskey would do, it was near enough, and he was going to wear it until it wore out, which he hoped would be soon, that is, if Dikke Jan should be kind enough to replace it as often as it did with a new one, of course on the same terms as the original was supplied. “No,” said Piet emphatically, “I’ll always be glad to wear one if I can get it that easy way. Tis en Kat in Amerika.” But no other was given him when the original was worn off. Dikke Jan had enough; he was licked. I was hard for him to make up his mind, and all this time his valuable horse was getting sicker. At last his parsimony overcame his dry scruples, and after Piet he went. Luckily, Piet was at home, and they started off for the farm at once. On the way out they passed one of Piet’s favorite taverns, and Piet wanted to stop in, “only for a minute” of course, but Pikkle sternly refused, saying that the horse was very sick, and that they must hurry and get there before it died, and besides he would not wait even one minute for such a bad thing. They had a hot argument about it as they drove along, but the farmer won, being a big, tyrannical, husky chap, and driving, while Piet was only a small, thin, little, lone, old man, very thirsty, and this time Piet lost the battle. When Piet realized at last that he had lost, he only said a few times sadly, “Tis en Kat in Amerika,” and then remained quiet, but he was quite “put out,” and it rankled in his mind all the rest of the way out, but he said nothing more about the matter. Then ensued a brief but intense conflict in Pikkle’s mind. There was not much time for careful consideration. There was the sick horse, a valuable one, apparently going to die, and there was Piet’s offer to save the animal by only a small bottle of drink, only a pint. If Piet had said it would take a whole gallon or even a quart, the question might have been decided differently, but as Piet had only asked for a pint, well, he might afford for a valuable horse to take a chance on that much. The decision was quickly made, the element of parsimony in Pikkle’s character again overcoming his stern anti-rum feeling. He would even buy that “Three Star” to save his valuable horse, and so Pikkle disappeared down the road in a cloud of dust, hurrying back to De Stad for the liquor, and to take away some of the sin, he would have some sugar put in. When Piet saw he was safely gone he hurried into the kitchen, and mixed some simple concoction, as of maybe baking soda, pepper, flour and salt, or something. This mixture, of whatever it was, when ready, he carried out to the stable, and gave it to the sick horse, which, apparently was just about what the horse needed, because he at once rallied, and started on the road to recovery. After that Piet bestowed his entire attention onto a certain knothole in the stable wall, watching through it for the farmer to return. Pretty soon, here came Pikkle back from De Stad with his horse all in a lather, and Piet ran out in the farm yard to meet him. “Is he alive yet?” cried Pikkle. “Ja, he is breathing yet, but give me that flask quick, Tis en Kat,” and with that old Piet snatched the bottle out of Pikkle’s hand, and ran into the stable, and got behind the stable door with it. Big Arend Pikkle got out of his buggy as fast as he could and hurried into the barn, but too late he was to stop it, for he was only just in time to see the last of the contents of his expensive and despised bottle going down Piet’s throat. Piet only said, “Tis en Kat in Amerika, here it is,” and handed the empty bottle back to Arend Pikkle. The horse had recovered by this time. Piet took care that hints and rumors got spread here and there throughout the Kolonie that the penurious, puritanical Pikkle, the man who so despised drinking, had actually bought some of Dikke Jan’s best “Three Star,” and had given it to poor, old Piet, – to Pikkle’s consternation, and more or less disgrace when it became noised around. Yes, Piet had a skilled technique in way of getting drinks out of unresponsive boeren customers. Some were quite simple, as follows, when he was called to a farm to attend an ailing animal, and the boer failed to offer Piet a drink, although Piet knew perfectly well the farmer had a supply. Piet would look the animal over long and carefully, then he would shake his old head, and say slowly, “Tis en Kat, this horse is quite bad sick, but I can him easy enough fix up. All he needs is some of your genever. Go fetch me a glass,” the farming bringing out a horse size drink and handing it to Piet. Piet would take it and look at it, and after a moment’s thought would say, scolding, “Now, what did you bring out so much for. Tis much too much for the horse to take. He can’t drink all that. Tis en Kat.” And with that he would put up the glass to his own lips, and two thirds of the contents would go down Piet’s throat. He would then add what little was left in the glass to the horse medicine he had in his buggy, and proceed to dose the horse, or he might give a small glass a look, and a smell, and remark, “This is the wrong kind. It won’t help the horse a bit,” and drink it all himself.